Yes, I know, I promised a Friday Top Five all about my new house. Well, last night I was having trouble with my camera, so if you are lucky you may get a Saturday Top Six (**fingers crossed**)! 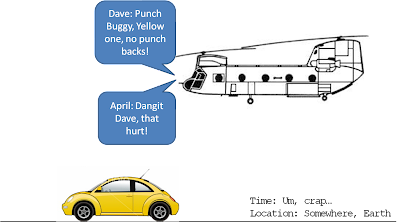 Instead, I thought I would let you in on a little-known Nerdy April factoid ("factoid" sounds so much nerdier than "fact"). 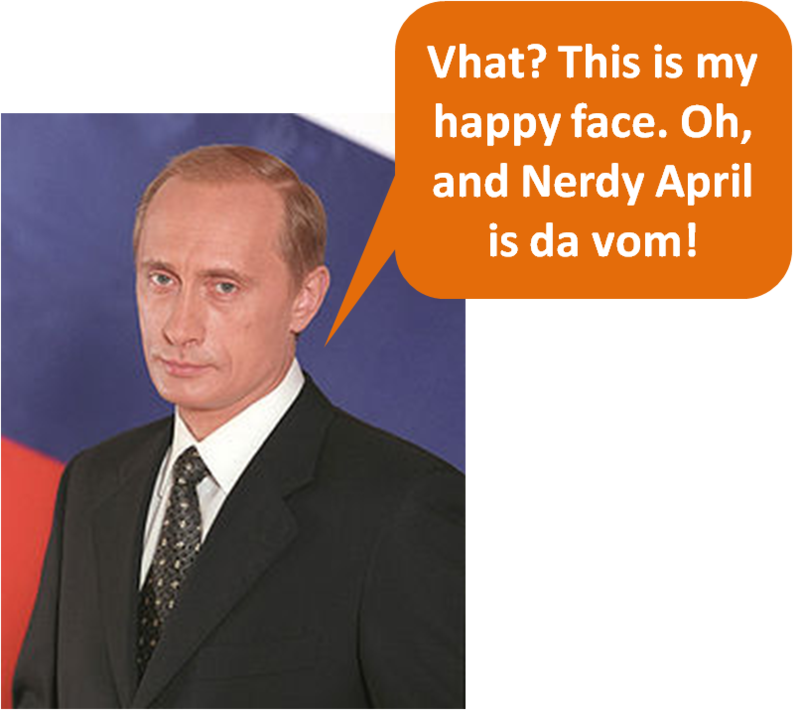 Did you know Nerdy April knows Russian? 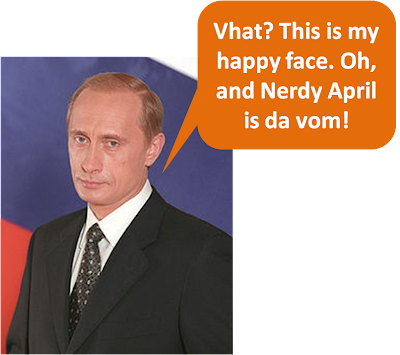 ....in true Russian style, and read Nerdy April's Friday Top Five reasons why it's good to know Russian! Number 5: Me and this guy are pretty much BFFs. Number 4: After "Zhivanevskaya"..... "Zuber" doesn't seem so bad. Number 3: When Dave and I are doing our Chinook testing and get off course, and end up catching the jet stream and refueling 18 times and start getting carried away talking about guns, and forget to verify that we are still in the US and ignore the controllers trying to contact us, and have 3 nice meals of raisins and juice boxes and decide to play slug bug via low passes over unidentified cities AND THEN realize we are being "military escorted" to the ground in the high mountains of Kazakhstan....at least I will be able to ask them if it's Thursday and where I can find a TV to watch the "Big Bang Theory". 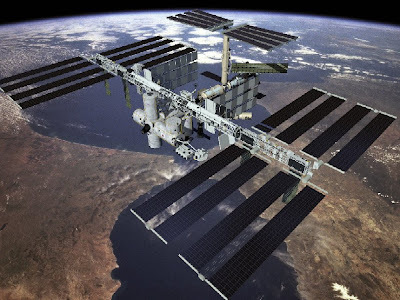 Number 1: And the actual reason I know Russian...you knew it was coming...duh, to work on the International Space Station! !